M. Stacey Hawver, Legal Aid Society of San Mateo’s Executive Director, has been a public interest lawyer for more than 20 years. A well known advocate on behalf of low-income residents of San Mateo County, Ms. Hawver has received the San Mateo County Women Lawyers Section’s Elinor Flavey Award for service to low income families and seniors and in 2013 was named by the Silicon Valley Business Journal as one of Silicon Valley’s Women of Influence. Ms. Hawver joined Legal Aid as a staff attorney in 1990 where she focused her efforts on representing adults and children with disabilities. 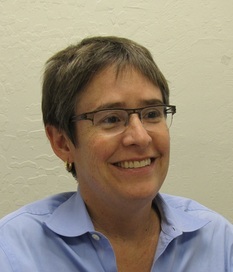 She became a Directing Attorney in 2000 before becoming the Executive Director in 2002. Ms. Hawver graduated first in her class from Stanford Law School. She also has a Masters Degree from the London School of Economics and an A.B. in Economics from Cornell University. Ms. Hawver is bilingual in Spanish and English.